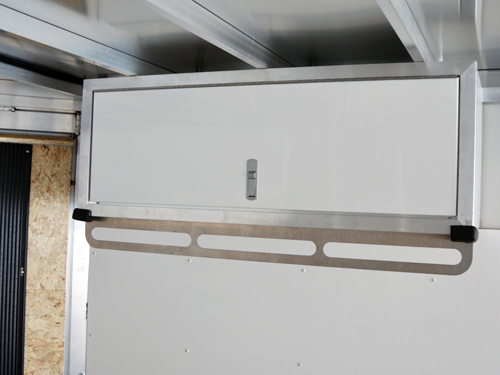 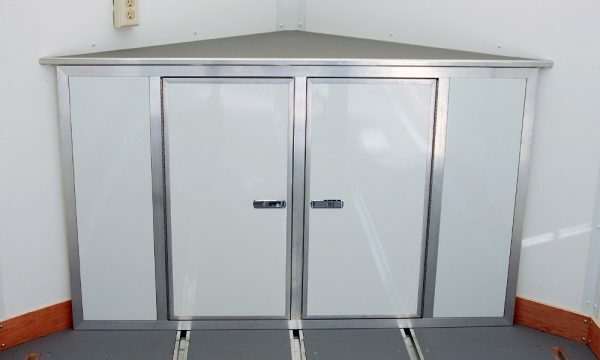 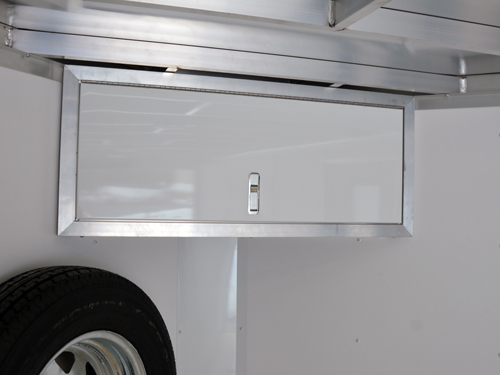 Add this V-Nose Base Cabinet to your trailer to really give it a nice and polished look! Double doors open up to a center shelf so your cabinet is divided in two vertically. 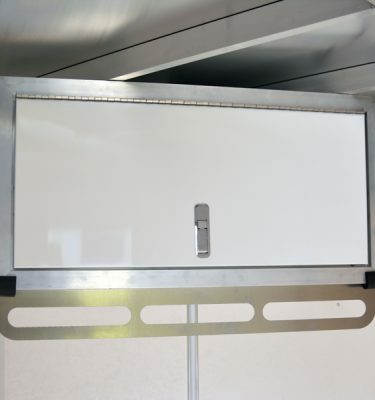 Make the absolute most out of that V-Nose!